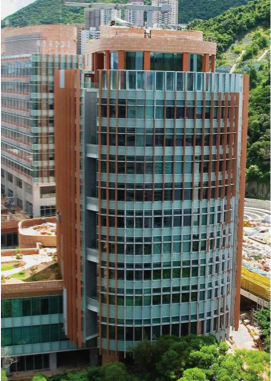 Our Faculty is Hong Kong’s first law school and one of the most prestigious law schools internationally. It celebrates 50 years in 2019. Today, the Faculty has over 70 full-time academic staff members and more than 1,500 students studying in our undergraduate and postgraduate programmes, including the research postgraduate programmes leading to the degrees of Master of Philosophy (MPhil), Doctor of Philosophy (PhD) and Doctor of Legal Science (SJD). The Faculty of Law places great emphasis on the quality of postgraduate research education, and values innovative, high-impact and leading-edge research within and across disciplines. Our graduates include the current Attorney General of Sri Lanka, partners in law firms, and law professors in Australia, New Zealand, Kenya, Hong Kong, Macau, China, India, Malaysia, Thailand and the United Arab Emirates. We provide an intellectually stimulating environment nurturing students' intellectual and creative abilities. Students study in our modern 11-storey Cheng Yu Tung Tower situated next to the entrance of the HKU MTR station. Visit our website for more details on our programmes and the Graduate School website for information on scholarship funding and application submission. We have two departments and five research centres/institutes dedicated to the study of public law, financial law, Chinese law, law and technology, and medical legal ethics. For more details of our research areas and academic staff, please visit our website and the HKU Legal Scholarship Blog. If you have further questions, you may email them to lawpgs@hku.hk.